Now that cannabis is legal in Canada, we’ve been getting lots of questions. 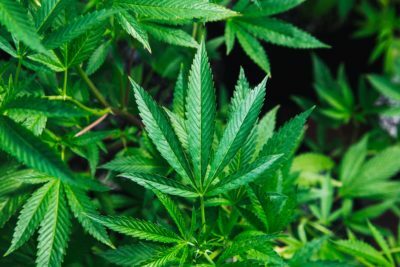 For those who want to know more about cannabis or to be able to wow your friends and family members with random ganja facts, this blog is for you. First, not everyone is visiting Aunt Mary, aka using cannabis. Worldwide, the usage rate is 2.6% to 5% for people between the ages 15-64. Meanwhile, last year in Canada, 10% of that same age group got stoned. Of the folks who toked, 1 in 5 said they used for medicinal reasons (50% for chronic pain and 50% for insomnia, anxiety, depression, and other conditions). Several centuries ago, someone figured out that smoking weed was helpful in some way. We’ll never know that part for sure. You’re welcome. Moving on. In Europe, up until the end of the 19th century, cannabis was used to treat pain, spasms, asthma, sleep disorders, depression, and loss of appetite. But because researchers couldn’t figure out how cannabis worked, they stopped the research. And so, during the first half of the 20th century, medical cannabis wilted from medical research. But like any weed, cannabis made a come back. In 1964, during the height of flower-power and free-love, researchers discovered the cannabinoid, THC. Several years later, other cannabinoids were discovered, the one you’ll hear a lot about is CBD. In most strains of the green stuff, next to THC, CBD is the second strongest active ingredient. In between the discovery of THC and CBD, researchers found out that humans have 2 types of cannabinoid receptors. Sticking to the KISS principle (keep it simple stupid), the researchers called them CB1 and CB2. In short, the CB1 receptors are found in the central nervous system, and in several of our organs. It’s the CB1 receptors that are responsible for the psychotropic effects. The CB2 receptors are mostly in the immune system–and we don’t really know much more about that. Although, there are some rumblings about the possible effects on certain types of cancer. As for CBD, it seems to have antiemetic (decreases nausea and vomiting), neuroprotective (promotes protection against nerve injury or degeneration & preventing the breakdown of the central nervous system), and anti-inflammatory properties. While other cannabis preparations seem to be antispastic (suppresses muscle spasms) and analgesic (numbing). Although cannabinoids are promoted for almost everything that ails you, the research to support those ideas are sparse. The Canadian Medical Association (CMA) gives the all clear to physicians to prescribe medical cannabis under these conditions. 1. For treating nausea and vomiting due to chemotherapy. There are other treatment options for these issues. And yes, seeking out a psychologist is one of those options. In case you haven’t heard, unlike medications, the effects of EMDR therapy is long lasting, has no real side-effects and most people get better faster. Now, back to Mary Jane. Just because cannabis is a plant, doesn’t mean it’s healthy or good for you. There are some risks that you need to know about. High THC content= high risk of increasing mental and behavioral problems. 1 in 10 who use cannabis the first time will develop an addiction. If you’re a heavy user (daily or near-daily), you’ve increased the risks of developing psychosis, bipolar disorder, depression, and anxiety. Cannabis smoke contains 4-7x more toxins and carcinogens than tobacco smoke. • Children and teens shouldn’t use cannabis. Their brains are still developing. Do your part to ensure the next generation has the best chance of developing normally. Please don’t hotbox the kiddies. • If you’re pregnant or think you’re pregnant, please stop rollin’. We don’t know how weed affects human development. • If you or someone in your family has a history of psychosis, you’re more likely to experience mental health problems if you toke. Save yourself the grief, put down the reef. • If you have a history of addiction, then don’t open the baggie. If you start blowin’ smoke, you’re more likely to become addicted. 1. The green stuff can make other health conditions worse by interfering with treatment. It’s a drug. Therefore, it may interact with other drugs, and not necessarily to your benefit. 2. Know the composition of what your smoking. Go for low THC. 3. Tokin’ daily or near-daily increases the risk of long-term effects. If you’re mowing grass, then do it once a week or maybe save it for the weekends. 4. Save your lungs. Avoid deep-inhalation, breath-holding, or Valsalva. 5. Stay away from synthetics. 6. Driving while under the influence of cannabis, increases your odds of getting into a car accident by 4x. We’re not talkin’ fender-benders here, but serious and fatal accidents. Drive sober. It takes about 6 hours to clear your system. 7. As mentioned earlier, you have a 1 in 10 chance of developing an addiction to cannabis from the first time you use it. There you have it. The cliff notes on the benefits and risks of cannabis use. Now that it’s legal, there’ll be more research. We aren’t able to say a lot of definitive things about cannabis, because there aren’t a lot of high quality studies available. Like any other substance, evaluate your particular risk level. The high might not be worth the long-term price to your health. Lastly, weed like to apologize for the cannabis puns. It couldn’t be helped. Grotenhermen, F., & Müller-Vahl, K. (2012). The therapeutic potential of cannabis and cannabinoids. Deutsches Arzteblatt international, 109(29-30), 495-501. Lalkovičová, M., & Danielisová, V. (2016). Neuroprotection and antioxidants. Neural regeneration research, 11(6), 865-74. Yakovenko, I. (2018). Dispelling myths and emphasizing facts about cannabis [Powerpoint].